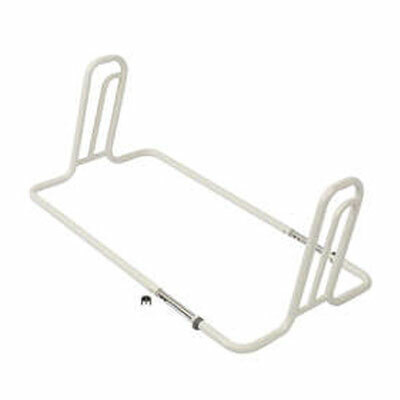 The 2 in 1 adjustable width bed stick helps make getting in and out of bed easier. Can also be used when turning in bed. You can move from a lying position to a sitting position more eaisly with this handy aid. The bed stick has been designed to fit on either a slatted or divan bed. The bed stick will adjust to fit 3', 4',4'6 and 5' beds. Will fit single, double and kingsized beds. Suitable for both adults and children. The bed stick is made from a sturdy chrome and plastic coated steel construction.